HOST FAMILIES NEEDED FOR GERMAN & FRENCH STUDENTS! Now is a great time to get involved with SISTER CITIES! The event calendar to the right will link you to more details. To build and strengthen international cooperation, understanding and development between the citizens of the City of Newport News and those of the world. 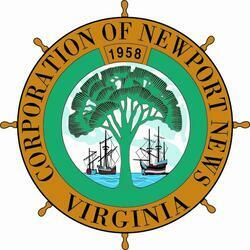 Through cultural, educational, and e﻿conomic exchanges, the ﻿City of Newport News will be recognized as a global leader. It is our belief that freedom of thought, freedom of expression and freedom of conscience are essential to establishing a quality of life second to none. We contend that the pursuit of continuous learning about people and their communities will facilitate social and economic growth while recognizing the essential need for economic balance. Sister Cities of Newport News, Inc. is empowered to fulfill this vision. Sister Cities of Newport News, Inc. or SCNN, operates as a 501 (c) non-profit governed by a 19 member, volunteer Board of Directors and managed by an Executive Director. At the heart of our organization are volunteers, businesses and partner organizations who support the us with their time, financial donations and in-kind services. Funding is provided through member dues, donations, fundraising activities and grants. Numerous committees operate to carry out the mission of the organization. New members and volunteers are always welcomed. Newport News, VA 23606 U.S.A.
MAY 14: GIVE LOCAL 757! OCTOBER 5 & 6: NEWPORT NEWS FALL FESTIVAL!